Members of the Editorial Board, the editor and qualified outside reviewers review the manuscripts. Journal attempts to convey the reviewer�s comments about the manuscripts to the authors within three weeks. Accepted pending revision manuscripts will be re-reviewed by the Editorial Board. 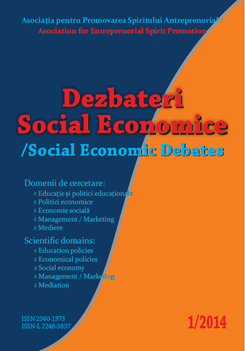 Social Economic Debates Journal attempts to publish the manuscripts within 4 weeks after submission. E-mail attachment as electronic proof will be sent to the corresponding author as a PDF file. The final version of the manuscripts will be considered the page proofs. No changes will be made in the manuscript at the proof stage except clerical or typographical errors. Authors will have electronic access to the full text (PDF) of the article and can download the PDF file from which they can print unlimited copies of their articles. Fundamental errors in published works: When an author discovers a significant error or inaccuracy in his or her own published work, it is the author�s obligation to promptly notify the journal editor or publisher and cooperate with the editor to retract or correct the paper.